short-form media | Tom Rants. 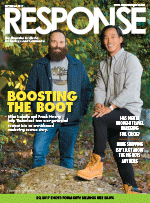 Response‘s May issue was a little slow in developing, as we wanted to make sure we got full post-show coverage of MTC Expo included. However, it’s been online for about three weeks and likely landed in mailboxes right before the month’s end. 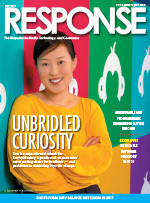 The issue’s cover story centers on an interview with SurveyMonkey‘s Sun Lee. Our biannual media buying and planning guide takes a look at the ad opportunities being created by content providers and distributors in a dawning age of connected TV, and is backed by our annual Cable Network Directory, which features contact and demo info from more than 150 TV outlets. 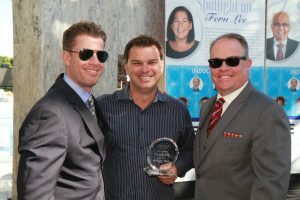 Due to space constraints, our quarterly technology spotlight piece became a Web Exclusive, and is worth a look. Let’s take a deeper dive into how the May issue was built! John Yarrington and I congratulate Havas Edge CEO Steve Netzley on his induction to the DR Hall of Fame on April 26. Don’t miss the extensive MTC Expo recap: here, here, and here. In his Media Zone piece, Higher Power Marketing‘s Peter Feinstein asks marketers to give consideration to what effects new tech can have, not just what they can bring to the bottom line. Venable‘s Amy Mudge and Randal Shaheen give readers the rundown on the FTC’s five brand new commissioners in their Legal Review. Following on the heels of my recap of the January issue, I’m back to share some inside info on Response‘s February Issue. 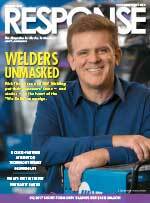 Online for a couple weeks now, the issue’s cover feature focuses on a marketer you might not immediately identify as groundbreaking: ITW Welding. Our inaugural technology spotlight feature — as part of our new editorial calendar focus on quarterly updates on media, technology, and commerce — looks at cross-platform attribution, and we also present a look at what the FCC‘s recent repeal of net neutrality regulations could mean for marketers. We also lock in on 3Q 2017 short-form DRTV media billings, while three contributed columns contain some noteworthy thoughts. Let’s see how the issue came together. Our freelancer Doug McPherson handles our weekly e-newsletter — so he’s seen his share of reporting on the topic of net neutrality, especially in recent months. So when we needed to take a deeper dive into what to expect now that the FCC has overturned 2015 rules, he was the obvious choice. Doug touched base with a half-dozen experts on both sides of the debate, creating a well-rounded piece that you can find right here: Net Gain … or Loss? Thill Inc.‘s Todd Thill shares what you need to know about order management systems in his Support Services column. And Omni Direct‘s Daniela Agurcia has four tips on engaging with U.S. Hispanics in this En Español column.